Established in 1964 Coles Electroacoustics is renowned for designing and manufacturing the very highest quality Ribbon microphones. Its latest design from Coles is the 4030L, an entry level ribbon microphone with the superb sound quality one expects from this prestigious company who manufacture the famous 4038 Studio Microphone. 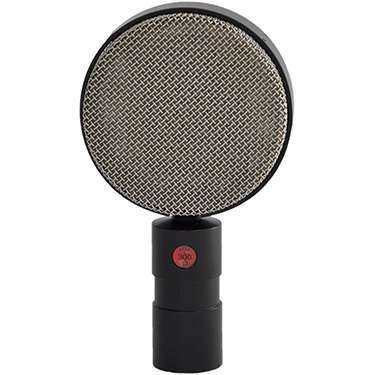 The 4030L is a studio ribbon microphone manufactured using the very latest CNC machinery and the newest magnet technology as used in the esteemed Coles 4040 and 4050 microphones. The frequency response of the 4030L is exceptionally flat from 50 to 20,000 KHz and throughout this range the shape of the bi-directional (figure of eight) polar response is maintained substantially constant both in the horizontal and vertical planes. Sensitivity: -67db W.R.T IV/Pa. The 4030L is a versatile microphone and ideally suited for critical recording applications. Its smooth frequency response characteristics and ability to capture detail make it a first-rate choice for many instruments. Also 4030L can be used alone or as a pair with a stereo mount which can be rotated through 360 degrees; ideal for the popular “Blumlein” (crossed figure-of-eight) stereo configuration or other configurations of choice. There is a red dot that indicates the front of the mic for phasing purposes. The 4030L microphone is delivered in foam lined rigid carrying case with an adjustable universal stand mount.